After decades of relying on the same express buses to travel to and from work on a daily basis, Staten Island riders have had their daily routines upended by a complete overhaul of the borough’s MTA express bus network. Some of these troubled commuters have elected to share their stories with the Staten Island Advance to highlight how the changes to the network have adversely impacted their daily commute. “Troubled Travelers” is a series of first-person accounts from disgruntled Staten Island express bus riders. I’ve been a commuter to Manhattan for over 29 years. Commuting from Staten Island has never been easy, but the latest redesign has caused me the most problems. Before the restructuring, I took one express bus to get to work. This bus (X14) previously stopped about 500 feet from the house. Now, I have to take a local bus to get to the new SIM bus. I have two to three minutes to catch the SIM3 at Manor/Victory. I have one chance at the local S54 to make that connection. If that bus is late or nonexistent, I’ll miss the connection (in fact, on 10-2-18, the S54/not regular driver passed me by at 6:39 a.m. while I was standing at the bus stop, waving!). Minimally, this trip takes one and a half hours, which is about the same as the previous commute. Now, that’s in a perfect world - meaning so far it’s been ok…add inclement weather or missing S54, I am very concerned how this will affect things. The afternoon return is another matter entirely. While the SIM3 has been usually on time, the connection to the S54 rarely happens. Since the changeover I have caught the connecting S54 only three times! Really, three times? Usually, I get there just in time to see the S54 pass by on the opposite corner. For those who don’t know, the S54 runs every 30+ minutes during rush hour between buses. It’s at least a 20-minute walk, so do I wait for the next S54 or just start walking? Cue Jeopardy music. The return trip used to take one and a half to two hours, now it takes about two-plus hours, if I take the S54. How is this better? Note, I walk with a cane to the bus. I’ve seen that there will be a few changes to the express bus routes, but nothing has been said about the local buses that many of us are now required to take to get the new SIM buses. Will they increase local bus service during rush hour, to connect with the SIM bus? Specifically, will they increase S54 service so that there isn’t a half hour wait between buses? Ten minutes would be ideal. A bus shelter while waiting would be nice as well. And a word about the bus operators...in my experience, the majority are competent, helpful, capable and even compassionate, as well as some of the dispatchers. I’ve seen a lot of the unwarranted grief and aggravation they get on the job. Thank you for doing a largely thankless job and for trying to help passengers navigate the new “improved” system. So, what recommendations would I make? 1. Increase service (especially on the S54 during rush hour…runs starting between 6:17 a.m. - 6:47 a.m. and 4:45 p.m. - 6:55 p.m.) and improve connections between local and express buses. 2. Increase and accurately track the SIM3C in weekends. The two Saturdays I waited for the 4:30 p.m. SIM3C - one week it arrived at Central Park South at 5:10 p.m. (two buses late), the next week it didn’t arrive until 5:40 p.m. (three buses late). I saw many SIM1C and SIM4C buses during this time. 3. Some SIM3 buses “deadhead” (return with no passengers) to Staten Island via NJ. Reinstate stops along W57th for those runs (bus makes left from 6th onto W57th St), possibly renaming these runs SIM3W. 4. Reinstate the X14 route, starting at 23rd/1st in Manhattan to 57th with west side coverage. 5. Keep HOV and bus lanes clear, via increased police presence, cameras and higher fines. 6. Fix “MTA Bus Time” to more accurately track buses and add available seat counts. 7. Bus shelters at Manor/Victory for SIM buses and S54, and at Central Park South. There are a lot of passengers at these locations and nowhere sheltered to wait (winter’s coming). 8. Restore weekend service on S54 (not everyone works 9 a.m. - 5 p.m., Monday - Friday). 9. Fix MTA Wi-Fi so the signal doesn’t drop out or become “connected/internet unavailable” (longer bus trips should at least be somewhat entertaining). 10. Apparently, there are two separate announcement systems on the bus. The important one that gives passengers/drivers valuable information (route detours, accidents, etc.) is often overshadowed by the “Thank you for riding the MTA”, or “Hello Everyone…” MTA commercials. Please fix this so priority messages can be heard clearly. We have petitions circulating for various routes. There is simply too many issues to tackle all at once. 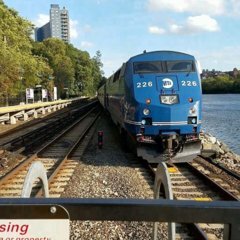 I’ve been coordinating with the local Staten Island Express Bus folks and helping where I can to circulate the petitions and so on, but this is just such a mess and it’s frustrating that the has screwed up express bus service the way that they have, not only on Staten Island but around the City. They have had a hard time filling trips around the City, and maybe that is because a lot of drivers are retiring or quitting. I don’t know, but I do know that there seems to be an endless amount of “new” drivers, more than in the past too. It’s like a revolving door. They need to do a better job of retaining drivers. I think that would go a long way in improving service because if you have to keep training drivers constantly, naturally there is going to be a shortage, which may explain all of the missing and late trips. They also need to do more training of the new drivers. Putting a guy on a route that he doesn’t know isn’t doing anyone any good, especially if that bus runs only once an hour. I myself have had to wait over an hour on separate occasions on various routes because supposedly the driver was new and didn’t know about said stops. That’s just inexcusable. You make sure that the driver knows the route before sending him out. All of these things are exactly why riders are fed up and are ditching public transportation where possible, and we simply don’t have the space to have everyone driving or taking Ubers and Lyfts. It’s unsustainable. This network has been a failure from the very start. They claimed that "riders will only have to walk five minutes" to get to a bus route, but in reality people have to drive/overcrowd park-and-rides such as ETC just so they can get to their new SIM. The older buses provided a lot more adequate coverage than the SIMs. There used to be plenty of buses serving Midtown (the only buses that ended in Downtown were the X3, X4, X8, and X15). Now, the MTA is overserving Downtown, and underserving Midtown. Despite the fact that Lower Manhattan has the WTC, Midtown is simply much more bigger/popular. It's evidenced by the getting more ridership when it was rerouted to Midtown. There was nothing wrong with the X14 as it ran via the FDR Drive after serving Lower Manhattan. Instead of having the SIM35 nonsense, they should've just brought back the X13 and had X14 bypass Lower Manhattan entirely. On Hylan Blvd/Father Capodanno, we had eight express bus routes (X1-9, excluding X6), five of which went to Midtown. Now, it's been reduced to six routes, and only TWO go to Midtown. I bet the MTA is just gonna do more harm than good with these "redesigns..."
Of course they would only walk 5; with new service they will walk 5 and then get tired and give up, taking an Uber or just not leave at all. Benefits for everyone! Now, the MTA is overserving Downtown, and underserving Midtown. Despite the fact that Lower Manhattan has the WTC, Midtown is simply much more bigger/popular. It's evidenced by the getting more ridership when it was rerouted to Midtown. I think it's to shorten the routes and to spend as little time in Manhattan as possible, this way they can provide more service with less buses. Partially correct... It's to cut down the run times and thus make the trips less expensive to operate. One of the planners of this redesign from what I hear is very pro subway and her attitude is I'll get you to Manhattan and after that you're on your own, so if you get dumped Downtown and the subway is a mess tough sh*t. She doesn't understand how express buses work nor does she care because she likely doesn't live in an area with limited transportation options, but I've been preparing my next speech, and she is definitely going to be addressed along with Peter Cafiero. The two of them are largely responsible for the poor planning of these schedules and they need to hear it first hand. This article while a year old gives you a pretty good idea of what the wants to do and I'm not so sure I support it 100%. Most of it makes sense, but I think one of the things they want to do is create super routes or focus on routes that are doing well and scrap the ones that aren't rather than trying to figure out why they aren't working, which essentially gives the middle finger to the riders that actually need the service. The presentation was a palpable departure from previous MTA statements brushing off the urgency of addressing system wide problems with bus service, but as board member Veronica Vanterpool pointed out, the agency didn’t furnish a timeline or work plan to implement these strategies. I'm not saying this is wrong today, but Byford is pushing for better service, especially in the bus and subway network. Not sure if anyone else was at the Manhattan workshop with Andy, but I was there and in that meeting, Andy Byford greatly expressed that today's network was unacceptable and even indirectly confessed that his group indeed mess up with the Staten Island express redesign. So he is trying his best to improve anything possible. Andy and I have spoken privately and I agree that he's very customer centered, but the reality is he's not the one signing off on all of these plans. 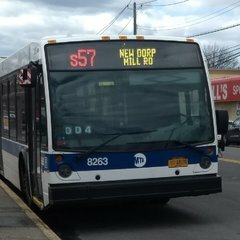 Right now on the changes happening to the express bus redesign on Staten Island, the folks I've been coordinating with have been working with one or two main folks from the agency (there are of course many other people involved but I'm talking about who is giving the ok to changes) and they have been pushing back hard on some things that have been requested. He has people that have been with the prior to his arrival so some of these projects were started before he was even around, and while they've been more customer focused that much I'll give you, they still are not quite there yet in terms of better service. The has been talking about some of these plans for years now, and they don't have a timetable for implementation, so until they do, it's all lip service and empty promises. One of the things that I inquired about when I spoke last month before the board was why is traffic signal priority (TSP) so delayed? That project has been talked about for years now and the few bus lines that have it is telling (only Select Bus Lines). As I said in my speech, the agency ordered 300+ express buses in 2015, and none of those buses are using TSP. Why? Where is the money for that and when can we expect to see it implemented? These are questions that the agency should be able to answer if these are their long-term goals since they're the ones that have been talking about it non stop. If they don't have the money to implement it then it's pointless to even discuss it. In short we need hard timelines on these projects because customers aren't going to wait years and years for this agency to get their sh*t together. They're voting with their feet, and quite frankly the way things are now with more people driving and using Uber, we can't afford to wait much longer. In my upcoming comments to the board, I'm going to be stressing the dire need of action NOW and the need for an emergency bus plan NOW. We need stabilization of the system to at least have scheduled trips coming and coming around the times noted on the schedules, otherwise customers will lose all faith in the service. I will say this, during rush hour, some form of express service exists in the neighborhoods that previously had it (and as a matter of fact, they added some service to portions of Annadale & Princes Bay that never had express service previously. In theory, most trips should be able to be accomplished by express bus-express bus transfers (for example, they were telling a lot of X14 Midtown riders to take the SIM35 to the SIM10 if they couldn't make their way to the SIM3 or SIM30). If the buses were frequent and reliable as promised, it wouldn't be an issue, but unfortunately, the extension of the New Dorp buses to the ETC has created a lot of reliability issues (so to deal with all the traffic at Hylan & Narrows with the pressure of making a SIM10 connection which has bunching and gaps despite promises of running every 4-5 minutes, I can understand why she chooses the S54 to the SIM3). I will say that the "via NJ" routes run decently at that time of the morning, so maybe she might consider the S54 in the other direction to the SIM30 (a quick glance at the schedule shows that there should be a quick connection available at that time if everything is running on schedule). It seems once school started, any time I tried the SIM4 to Downtown for the subway, I got screwed traffic-wise, so now my AM commute is almost exclusively via the SIM8. ﻿ The older buses provided a lot more adequate coverage than the SIMs. There used to be plenty of buses serving Midtown (the only buses that ended in Downtown were the X3, X4, X8, and X15). Now, the MTA is overserving Downtown, and underserving Midtown. Despite the fact that Lower Manhattan has the WTC, Midtown is simply much more bigger/popular. It's evidenced by the getting more ridership when it was rerouted to Midtown. There was nothing wrong with the X14 as it ran via the FDR Drive after serving Lower Manhattan. Instead of having the SIM35 nonsense, they should've just brought back the X13 and had X14 bypass Lower Manhattan entirely. As I'm going to mention below (as a person who depends on SIM routes and needs to make my commuting decisions based on them), Downtown was the area that got the short end of the stick overall, not Midtown. The SIM4 has been reduced to service levels below those of the X17A. Remember that the SIM4 initially had a longer span to accommodate some regular X17 riders who used to travel a little before or a little after rush hour (so we/they would at least have an extra chance to avoid the SIM4C nonsense with the extra Gannon stops). The last bus gets to Lamberts Lane at 8:54am. Think about it....the last Downtown bus on a major Staten Island corridor is on the highway before 9am....despite the X17A being a model route (a few miles on Staten Island local streets, then right on the highway and into the beginning of the HOV lane and a short Downtown stint). Same thing in the PM rush. Some of the BusTime screenshots are appalling. Somebody posted one of one single bus on the SIM4 route at 7am (I remember checking BusTime that morning and seeing a 20 minute wait for the SIM4. Fortunately, my SIM8 came reasonably quick, but to think that I got to my office in Long Island City before some of these people made it to Downtown just baffles me). The X17J was always a little more frequent than the X17A, but the difference was never this much. At one of the meetings, one of the things that I asked was why the deep South Shore (meaning, west of Richmond Avenue) wasn't getting any new Downtown routes (they extended the SIM2/X19 to cover more areas, but they still left it with one single Downtown route). The response was that they felt the SIR was faster and carried the majority of the market share for Downtown riders (despite the X19 schedule from Huguenot being quicker to reach Downtown than the express SIR to the ferry/ So either they're wrong about the SIR being quicker, or the X19 schedule was grossly inaccurate, both of which are major flaws and it's scary to think they planned off those). As they saw by the fact that the X19/SIM2 had a lot of overcrowding complaints during rush hour (since they kept the old schedule but added the Tottenville/Princes Bay riders to it), there clearly was pent-up demand for it (and there were plenty of riders who used the Midtown routes like the X22/23/24 to connect to the subway Downtown, and still are). I may have an unpopular opinion (or at least, an unpopular opinion to be vocal about), but I believe the concept they were trying to implement was actually a good one...it was the execution of it that was majorly flawed. The "Midtown via Downtown" combo does cause issues with reliability, and the subway generally is faster than staying on the bus all the way up. People talk about unreliability on the subway, but I'll take the subway's reliability levels over the reliability levels of Manhattan traffic any day. To me, the thing that gets me to take the express bus is saving time, I'll take that to the subway with no problem the same way I would take an express train to a local train). The idea of "we'll run more, quicker trips between Manhattan & Staten Island and offer a longer span of service" and "We promise you, we'll have plenty of buses to get you to/from the subway" definitely sound good and could work if implemented correctly. The problem is that it wasn't planned out correctly: The schedules were a disaster, and some of the transfer points were removed in their rush to pull out stops to speed up service. To be honest, off-peak, I would've preferred that routes be mostly Downtown-only (with a few Midtown-only routes thrown in), but with more coverage on the Staten Island end where there's fewer alternatives. This lady makes a good point: If you want to encourage transfers to the local bus, you don't have the bus run every 30 minutes. (Personally, when I first saw they were going to do a study, my first thought was "the local system needs a redesign far more than the express system"). If the underlying local system wasn't so bad, it would've helped with at least some of the problems that arose in the express bus change. I think the thing to consider is that you are not disabled. I personally was not aware of how many disabled riders there are on Staten Island that need the express buses. It has been extremely difficult for them. Putting aside your commute for a minute which obviously works, this is why many people are in an uproar. During my speech this month, I am going to be sharing a story of a woman who uses the SIM8 (partially) to reach her cancer treatments at Sloan Kettering. I spoke with her daughter earlier today via IM. She takes the subway the rest of the way, but having a relative myself who went through chemotherapy, I wouldn't wish that kind of up and down on my worst enemy. It is extremely draining physically. She had to wait God knows how long for a SIM8 (she was the third person in line at 42nd - the cross street escapes me at the moment), but she had to stand the ENTIRE way to Staten Island after having undergone a chemo treatment. That just angered me so much. Someone fighting for their life and they have to deal with such BS. It's appalling. The board, the planners and everyone involved should be ashamed of themselves for this mess. Sloan Kettering is on the UES, which never had any Staten Island express bus service (it used to have the X90 as you know, but that ran in the opposite direction, southbound in the AM and northbound in the PM. Perhaps reinstating it and running it in both directions would be helpful, as the 1st Avenue corridor has a lot of hospitals, both around 23rd Street and around 66th Street). But a lack of SI-bound service to/from the UES hospitals was not an issue that was caused by the redesign (in other words, it wasn't removed as part of this restructuring). The X17J always had issues with overcrowding an bunching, and overall, I'll say that the SIM8 is far better than the X17J (due in part to the presence of the SIM8X & SIM22). I think I only had to stand once after August 19th (and been on SRO buses 1 or 2 other times), whereas before, it was a regular occurrence to stand on the X17J at that same time period. Who said it did? I specifically stated how she reaches Sloan Kettering if you bothered to read. The X17J crowding or not doesn’t excuse this crap. I’ve taken the X17J plenty of times and never had to stand, and yes it did bunch. The point is in all of this is that people should not have to suffer like this. Under the old system even if she had to let a bus or two pass, she would’ve had a seat. Now with service being so unreliable, you can’t chance it. She never had to stand under the old system. She’s been taking that trip to Sloan Kettering going back the old system. At the times you've mentioned commuting in the past, X17J buses were never that crowded (those buses around 9am. Don't ask me how I remember). But if you go around 7-8am, there were plenty of instances of overcrowded buses. No idea what times you used it in the PM, but again I remember standing plenty of times. That being said, I looked up the post you mentioned, and she said it was in the middle of the day. If I had to guess, she had to catch the first SIM8 bus of the afternoon, which is overcrowded because the SIM4C is slow and infrequent (and even if you try to beat it by taking the subway Downtown, you'll have to stand if you can even fit on the bus at that point). If the SIM4 & SIM32 ran off-peak (and ran frequently), then you'd have more options for former X17 riders, and they wouldn't all have to pack onto the first few SIM8 buses. Maybe add an earlier SIM8 (say 1:30pm or 1:35pm from 57th Street) so you get more of the Midtown riders, and people should be covered overall. And if Gannon gets the off-peak Midtown service instead of Watchogue (however that's arranged route-wise and number-wise), that might help as well. This post angers me just reading it. One of the things that I inquired about when I spoke last month before the board was why is traffic signal priority (TSP) so delayed? That project has been talked about for years now and the few bus lines that have it is telling (only Select Bus Lines). This is depressing to read. No person should have to endure a commute like going to chemo and standing the whole trip to the island. There needs to be a re-focus of providing express service via 1st Avenue // Hospitals at the least AM/PM peak service. 23rd and 1st to 97th and 1st. The DOT is present at these Board meetings which is why I addressed Polly Trottenberg personally (she's a Board member appointed by Mayor de Blasio), because she's the head of the DOT. I know exactly who is who, trust me. I'll be addressing her again later this month. It's about time that the DOT start making some moves to improve service. They simply have not been doing enough. That lady undergoing treatment could have said she was undergoing treatment and someone would have gave up their seat. A lady did this on the Q53 before (In this case she was prone to seizures) and I gave her my seat. If no one got up she could have told the driver which probably wouldn't moved the bus until someone gave her a seat... that happened on the Q27 when a man with a infant got on a crowded bus and the driver wouldn't move the Bus until someone gave him a seat. Last week I rode the SIM8 and their was one lone standee, a guy, and a woman offered him her seat! Maybe she didn't want to blurt out her personal business at that time. Who knows. The person who posted about it wasn't her. It was her daughter. I get the impression that the mother is going through her own things just trying to deal with all of the medication she has to take and keep her spirits up. A relative of mine went through it for months and it was hell. She's been taking treatment now for a few years. Strong lady that's for sure. Okay but the thing is, it shouldn't have to come to this, especially since standees were a thing on the former X17J which the SIM8 replaced. The MTA said they would provide more frequent service. Well, where is it? They actually reduced service on the SIM8 in the PM on the October schedule. Completely unacceptable. When they came out with the original schedule, they basically copy-pasted the X17J schedule to the SIM8. But with the SIM8X & SIM22 taking a good chunk of the riders (the SIM23/24 as well to a certain extent), SIM8 buses ended up seeing reduced crowding, so they adjusted service accordingly. (Likely to put them on the SIM2 & SIM4 which were seeing overcrowding, though the SIM4 saw reduced service in the AM rush which in theory might've worked because they had the SIM4X, but in practice, the SIM4 buses were going missing leading to overcrowded buses. Maybe when they reduced the service, they at least ended up running the promised amount of service).